Last week an Alabama trial court judge (Michael Graffeo) made national news when (literally just minutes before his judicial term expired and he began retirement) he held that the Alabama Memorial Protection Act (AMPA)—which prohibits public jurisdictions within the state from altering or otherwise disturbing public monuments that have been in existence for at least forty years—violated the Fourteenth Amendment free speech and due process rights of the City of Birmingham, which sought to be able to place and maintain plywood screens around the Confederate Soldiers and Sailors Monument in the city’s Linn Park. 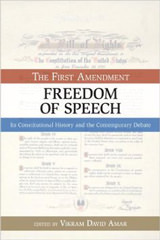 The ruling, while perhaps well-intentioned, was constitutionally misguided, and illustrates a few prominent and problematic features of modern First Amendment and federalism doctrines. In other words, there is nothing inherently unconstitutional about a state retaining for itself, rather than delegating to cities within it, the power to regulate private speech and engage in government speech within the state. The cases recognizing public monuments as speech are of no real relevance to this question, since they do not involve intra-state conflicts about who is the appropriate decisonmaker when it comes to public speech. Nor is Gomillion helpful because it involved an instance in which a state was manipulating a municipality’s boundaries to violate the Fifteenth Amendment voting right of individual African American citizen-voters—the rights of municipal entities as such were simply not at issue. Now perhaps someone might argue that the AMPA in fact violates the federal equal protection rights of African Americans because it is invidiously motivated by a desire to preserve Confederate monuments in order to send messages of racial animosity to blacks, and because the preservation of such monuments has a disparate impact along racial lines. I think such an argument would face an uphill climb, but if it were to be embraced, then the State of Alabama could not use Birmingham to implement its unconstitutional AMPA aims. But that isn’t the argument that was made to or accepted by Judge Graffeo. Or perhaps there are provisions in Alabama’s state constitution that protect local decisionmaking—many state constitutions provide for “home rule” or “charter cities” that enjoy legal independence from the state legislature. But again, that was not the argument made or accepted, and has little to do with the federal Constitution generally or First/Fourteenth Amendment rights of cities in particular. It might be tempting to view Judge Graffeo’s ruling as a one-off mistake (or a parting political message) by a single state-court judge, and something that will likely be corrected as the case moves up the appellate ladder. And Judge Graffeo’s mistaken ruling likely will get fixed on appeal. But I think there are a few broader lessons we can and should take from this episode. Most cases in which free speech rights are invoked involve government regulations that arguably suppress or regulate the speech in which individuals or entities seek to engage. But increasingly, the courts are dealing with disputes in which the First Amendment claim is not that government has constrained speech, but that it has compelled speech that someone would prefer not to utter or convey. 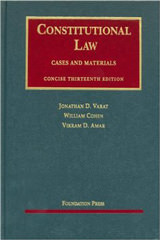 In the last Supreme Court term, three of the most high-profile cases (the Illinois public-sector union fair-share-fee contest, Janus v. American Federation of State, County and Municipal Employees; the California pregnancy crisis center placard dispute, National Institute of Family and Life Advocates (NIFLA) v. Becerra; and the Colorado baker gay-marriage case, Masterpiece Cakeshop, Ltd. v. Colorado Civil Rights Commission) all involved claims of improperly compelled speech. The Court ruled in favor of the compelled speech claim in Janus and NIFLA and punted on the issue in Masterpiece Cakeshop. Judge Graffeo used the same kind of reasoning, albeit on behalf of a city rather than a private person or entity: because Birmingham no longer wants to speak via the presence of the confederate monument, it has a right not to engage in (government) speech it no longer wishes to utter. 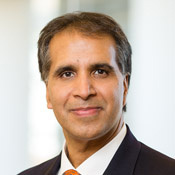 Although, as explained above, the claim should be unavailing because of intra-state federalism principles, we should recognize that when, in the words of Justice Kagan’s Janus dissent last year, the First Amendment is being “weaponized,” the preferred instrument of mass destruction these days is the notion of compelled speech. The Supreme Court tried to anticipate and avoid missteps like that taken by Judge Graffeo when, in 2011, in Nevada Commission on Ethics v. Carrigan, it overwhelmingly held that when a state legislator undertakes to vote on a pending legislative matter, he is not engaging in free speech protected by the First Amendment, because the “legislative power” of a state government entity is not “personal to the legislator but belongs to the people.” That case involved a state law that required recusal by state officials when their impartiality could reasonably be questioned. A member of a local city council challenged the power of the state to prevent him from voting on a land-use matter, and the Nevada Supreme Court (making mistakes similar to those made by Judge Graffeo) invalidated the state law, in favor of the autonomy of local city council members. The Supreme Court may need to speak again, and more explicitly, to confirm the internal authority states have over their subdivisions in governmental speech matters. But misperceptions about how much autonomy the federal Constitution confers on local government officials who might disagree with state-level edicts is not limited to free speech. In the immigration sanctuary setting, for example, the US Court of Appeals for the Second Circuit made a similar mistake. At issue was a federal law prohibiting state-law measures that inhibit information sharing between state/local officials with federal immigration authorities. 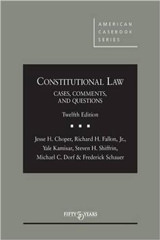 In rejecting a claim by a state that such federal intrusion constitutes unconstitutional commandeering of state governmental processes, the Second Circuit reasoned that although the federal government may not compel states and localities to carry out federal programs, it may prohibit them from restricting state and local officials from “voluntarily” exchanging information with federal authorities. The Second Circuit’s logic suffers from the same problems that plague Judge Graffeo’s analysis. The Second Circuit believes that individual state and municipal officials ought not to be constrained by state law from “voluntarily” cooperating with federal authorities by providing information. But state and municipal officials in this setting are not operating as private citizens who voluntarily get to decide how to spend their time and resources. Instead, they are operating as state government actors, whose discretion to voluntarily act while on the job is heavily circumscribed by state and local laws. The “voluntary” decision whether to devote state and local resources to federal enforcement is (or ought to be) located at the level of state or local government, not at the level of the individual state or local employees. State resources—including the time and information of state employees—are owned by the state, and not by individual employees. Thus, I find it hard to know what “voluntary” means in this setting. No state or local government can adopt or enforce any law or policy that prevents any local law enforcement official from using public resources—including employee time and equipment—to conduct background checks to assist the federal government’s gun control efforts, if the local official voluntarily chooses to expend state and local resources for this purpose, even if such assistance to the federal government diverts enforcement resources from other areas prioritized by state law. Could anyone believe that such a law would have been allowed by the Printz majority? I think not. And yet such an implausible premise is precisely what undergirds the Second Circuit’s reasoning (and that of Judge Graffeo’s ruling too).